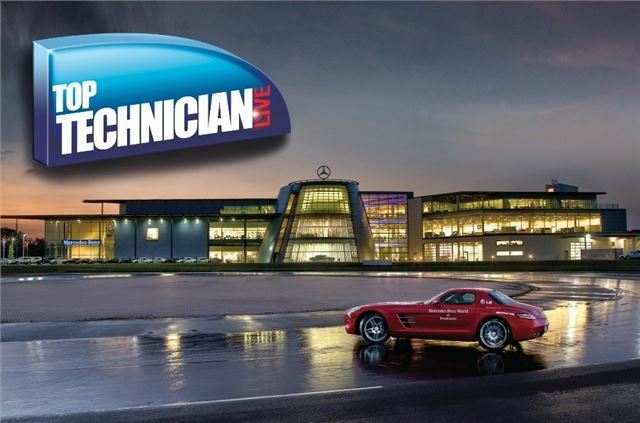 Top Technician Live 2013 will be held at Mercedes-Benz World in Brooklands, Surrey on Friday, May 17 2013. The event is aimed at vehicle technicians and mechanics and gives an opportunity to learn from some industry experts, including James Dillon of Technical Topics, Frank Massey of ADS and Brian Chaffe of Autologic. Additionally, the winner of the 2013 Top Technician competition will be announced on the day and Top Technician entrants get a 30% discount off the entry price. Delegates will get time to chat with other technicians as well as representatives from major companies in the aftermarket industry. Delegates who wish to attend can purchase tickets from the Top Technician website at a cost of £82+VAT, which includes parking, a delegate pack, refreshments and lunch.